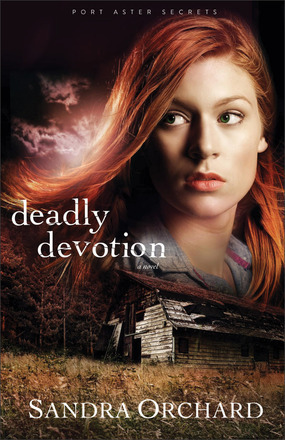 Sandra Orchard opens her newest novel, Deadly Devotion, with a friend desperate to prove her friend, mentor and professional colleague did not, and would not, have committed suicide. Through a variety of twists and turns, Orchard unpacks the story. Ultimately, it's a story of right and wrong, and truth and justice. On the scale of one to five, I give this book a basic three. It's an interesting story, but at times I struggled to have the plot line keep my attention. Orchard is a good author - and I've read another one of her novels with success. Ultimately, it's a good, basic suspense novel. If you are looking for a new author to test drive, you may find this book to be of interest. This book is the first of a new series. It was good enough to pick up the second book when it comes out. Kate knows the truth is out there--but if she's right, that means a killer is out there too. Research scientists Kate Adams and Daisy Leacock were on the brink of a breakthrough for treating depression with herbal medicine when Daisy was suddenly found dead. Kate knows that her mentor's death wasn't suicide or a careless accident--and she's determined to do whatever it takes to unearth the truth about what happened to the woman who changed her life. Former FBI agent Tom Parker is finding it hard to adjust to life back in his hometown of Port Aster. Though an old buddy gave him a job as a detective on the local police force, not everyone approves. Tom's just trying to keep a low profile, so when Kate Adams demands he reopen the investigation into her friend's death, he knows his job is at stake. But despite his attraction to her, Tom thinks Kate may have something to hide. 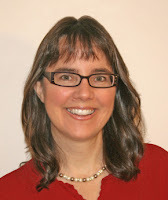 Sandra Orchard is an active member in American Christian Fiction Writers, The Word Guild, Romance Writers of America, and a local writing group. She recently participated in the Writers' Police Academy for hands-on training and simulations at a police training facility. She is the author of Shades of Truth, Critical Condition, and Deep Cover, which won the Canadian Christian Writing Award for romance in June 2012 and was recognized as one of the top five novels of the year by Family Fiction magazine. Orchard has also received a Daphne DuMaurier Award for Excellence in Mystery/Suspense in both the inspirational category and for best score overall. She lives in Niagara, Ontario, Canada. Buy it at Amazon: here.